Better Call Saul continues to be quietly brilliant. For three seasons now Better Call Saul has been bubbling along, shrewdly going about its business as one of the best, most underrated shows on television. What was originally envisioned as a zany comedy prequel centred around a fan favourite character has transpired as an outstanding drama, with character work that arguably surpasses its almighty forebear Breaking Bad, and a similar penchant for inventive visuals. Each year of the show has gotten better and better, with the third season escalating matters to unprecedented and ultimately tragic ends. 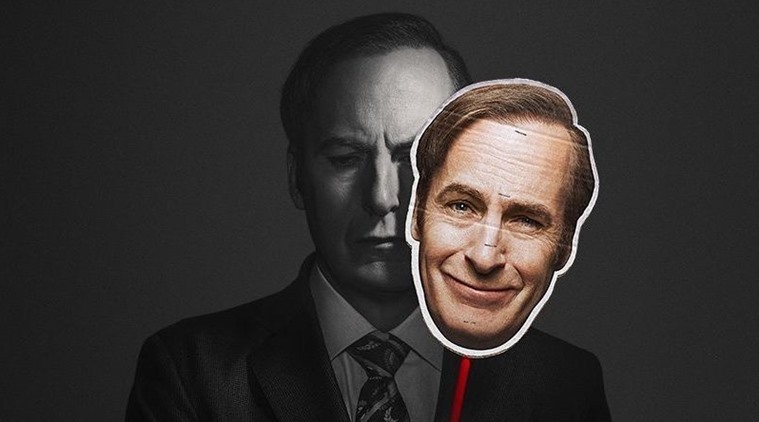 Season 3 brought the central through-line of the show, that being the sibling rivalry between Jimmy McGill (Saul Goodman to Breaking Bad fans, played by the ever-absorbing Bob Odenkirk) and elder brother Chuck (Michael McKean), to a definitive conclusion. It seemed unclear what direction the show would take, with such a core component and key cast member stripped away, but this first episode begins to reveal what lies ahead for Jimmy and company. The season 4 opener ‘Smoke’, directed by Minkie Spiro with writing credits going to Peter Gould (co-creator alongside Vince Gilligan), maintains the show’s glacial approach to pacing – for the most part. If you like to wallow in this world, the suburbia-gone-wrong Albuquerque that Walter White and Jesse Pinkman would later wreak havoc upon, then you’ll enjoy the leisurely attitude to plot development. But for a show that likes to take its time, it’s somewhat surprising how briskly ‘Smoke’ deals with Chuck’s funeral. McKean was a titan on the show, an actor of such grand performances that made it so possible to feel bitterly sorry for him whilst hating his guts at the same time. His presence is certainly going to be missed, but it may just be the effect that his character’s death has upon Jimmy that proves the catalyst for his wholesale transformation into the sardonic Saul. There’s a beautiful edit that takes place about halfway through the episode, framing Jimmy in a motionless portrait of grief as Kim (Rhea Seehorn) tries to console him. But by the episode’s end, having received a confession from Chuck’s business partner Howard (Patrick Fabian), Jimmy appears irrationally chipper. The fallout is likely to dominate this season’s events, so expect emotions to run high. Elsewhere, we find Nacho (Michael Mando) trying to cover his tracks after his assassination attempt on Hector Salamanca only leads to the gang boss being hospitalised. Mike (Jonathan Banks) meanwhile is found scouting out his new place of work, the familiar Madrigal Electromotive. It’s strangely engaging to watch Mike perform the most menial of tasks, which we seem to do often on Better Call Saul. Perhaps the most intense part of ‘Smoke’ is the cold open. As is customary of every season opener, we get a glimpse into the ‘real’ present in the form of a black-and-white flash-forward to Jimmy’s life post-Saul Goodman, post-Breaking Bad. His fugitive status is threatened once more, tensions coming to a particularly bated breath when Jimmy realises his taxi driver is an ABQ resident who might just recognise him. The show has already been renewed for a fifth season, but the drama, both past and present, seems to be reaching a crescendo. The end may be nigh. Whether that end involves the appearance of a certain high school chemistry teacher and his slacker ex-student is yet to be seen. What we do know for sure, though, is that Better Call Saul is so much more than a Breaking Bad prequel. It’s its own beast entirely. New episodes of Better Call Saul Season 4 are available on Netflix every week.